Classic styling and Traditional craftsmanship come together to create the elegant Journeyman series from Gator Cases. Constructed from heavy-duty plywood, Each Journeyman case is protected by a beautiful Pebble Weaved Burlap Exterior and espresso brown trim. Features include antique brass hardware and a thick foam padding covered in a blue crushed velvet lining. Each model also includes a locking latch and internal storage compartment with lid. Ukulele models include an adjustable and removable shoulder strap. 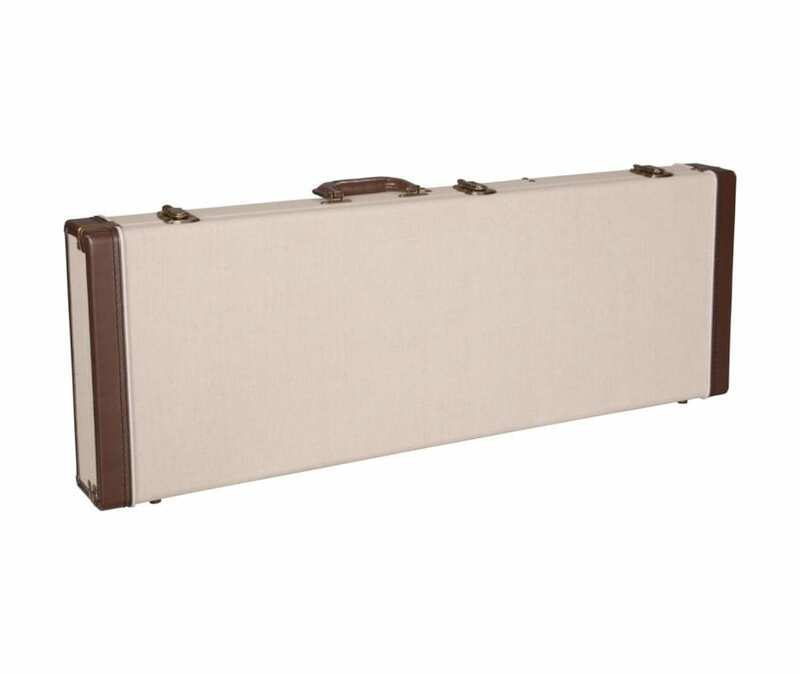 The Journeyman from Gator Cases is available to accommodate Dreadnaught Acoustic Guitars, Standard Electrics such as Strat and Tele style, Electric Bass Guitars, Resonator guitars, Mandolins, Banjos, and even Tenor, Concert, and Soprano style ukuleles. With the Journeyman Series, everyone from Delta bluesmen to Appalachian pickers can travel the road ahead in safety and style.